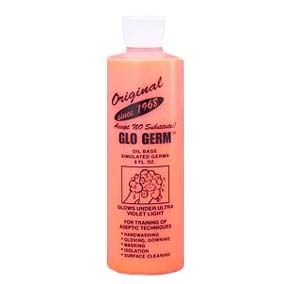 Glo Germ 1003 Kit with Gel - Savvy Food Safety, Inc.
New Glo Box Kit!!! 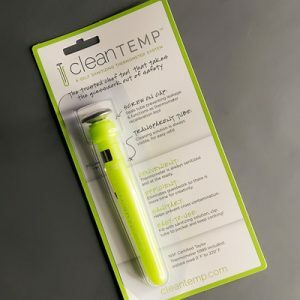 We are pleased to be offering an improved version of this kit. The Glo Box has been redesigned as a soft shell, foldable box that will allow you to do demonstrations in brightly lit surroundings. 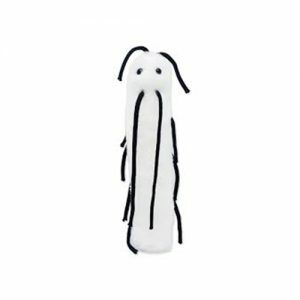 Designed to block ambient light and provide a vivid display of our simulated germs. 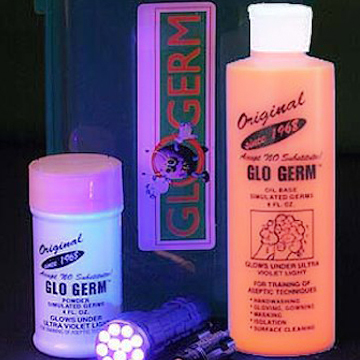 The Glo Box Kit contains one 8 ounce bottle of Glo Germ Gel, one 4 ounce (1.9 ounce by weight) Glo Germ Powder, a 21 LED UV Flashlight (batteries included) and the fold flat Glo Box.